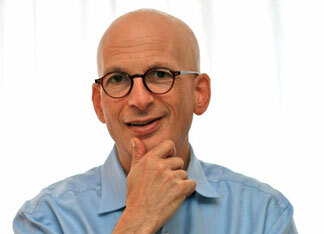 I recently interviewed the world’s leading marketing expert Seth Godin, author of 11 books (many of them focused on marketing). Some of his more notable books include Permission Marketing, Purple Cow, and Tribes. His most recent bestseller is called Linchpin: Are You Indispensable? During this interview, you’ll learn how Seth employed new media to promote his latest book and his thoughts on marketing and social media. Note: Be sure to listen to the complete interview at the bottom of this article. Mike: What exactly is a “linchpin” and how do I know if I’m one? Seth: A linchpin is the person we can’t live without—the indispensable person who does work that matters, the person who is trying to stand out as opposed to fit in, the one who’s not easily replaceable, the low-paid cog in the giant industrial machine but, in fact, the person whom we seek out. If someone says, “We’re going to see Bruce Springsteen,” you know that it isn’t going to be someone who’s like Bruce Springsteen performing. It’s going to be “the” Bruce Springsteen. I guess the question is, “Can someone put the word ‘the’ in front of your name?” You are “the” Michael Stelzner. There isn’t anybody else who could be doing this interview about this topic because you’re him. Now, thanks to the Internet, Google and the way the world is changing, anybody who chooses to become a linchpin can. Mike: Do you think most people who are linchpins know it? Seth: I think that anyone who is at the edge of what they can be doing is doing that on purpose. They are going through the pain and the difficult work and the risk necessary to do their art, to stand out, and to not just be a noisemaker. Mike: Do you think anyone has the potential to become a linchpin or is this something that only a small percentage of society will ever achieve? Seth: The first four words of my book are “You are a genius.” I honestly believe that. When you were 3 years old and painted something with fingerpaints that had never been painted before, you were a genius. You solved the problem in a way that no-one else ever had. Everyone has the capacity in some way to do the work of genius. I am not saying that everyone can build a profitable company, that everyone can start a Google, or that everyone can fill a stadium with screaming fans. What I am saying is if you pick the right endeavor, you ought to be able to do work that matters. Mike: I love the fact that you regularly talk about how you could even be a linchpin in your “day-to-day” job, like the guy behind the deli counter who’s smiling and greeting the customer. You can play a linchpin role in almost any endeavor, isn’t that true? The reason they want it all to be the same is because then everyone is replaceable. Then all the power goes to the person who writes the manual. But if you look at your job as a platform for doing art, for being generous and for making changes in people, then you’re both getting paid and stretching yourself to become indispensable. When they hire someone to take your place when you move on to the next job, the place won’t be the same, because you won’t be there. Mike: Let’s talk about you now. When was the first moment in your life when you realized you were a linchpin? What was the turning point where you recognized that perhaps you were unique? Seth: It was in 1976. I was on a lake in Algonquin Park, Canada, teaching a 12-year-old girl how to paddle a 17-foot-long canoe all by herself. As I was sitting there I realized that I had a tremendous responsibility because I could either just do my job, in which case this girl would go back to her day unchanged, or I could take a chance—I could lean forward. I could connect. I could do something that wasn’t asked of me and maybe, just maybe, I could impact her life and help her deal with her bad temper and help her see a different way of navigating through her day. I did it and it worked. Seth: It was an extraordinary feeling. Joanna went from slugging people several times a day—anyone who disagreed with her, boy or girl, she would just deck them—to being somebody who was smart and generous and connected and kind and enjoying her life a lot more. Fifteen years later, she contacted me and it had stuck. In that moment, I got the chance to matter. That’s sort of addictive. Seth: In the book, I talk about the resistance, which was a term coined by Steve Pressfield in a book called The War of Art. The resistance comes from the lizard brain; the part of our brain that is afraid, that doesn’t want to get laughed at and doesn’t want to make a mistake. If we look at the people who are reading Social Media Examiner and we look at the huge momentum to fit in and follow the standards, as soon as someone does something interesting on Facebook or Twitter, a hundred people copy it. A thousand people copy it. There’s a lot of desire to not get laughed at and to not be the one who did that thing that everyone talks about. That’s the lizard brain. That’s the part of us that wants to fit in. What I’m arguing is that the last person in on anything happening on the Internet never profits. The people who win are the ones who figured out how to win before anyone else was even paying attention, before there was a manual, before there was a Dummies book and before it was the standard operating procedure. Mike: Thanks Seth. On another topic, did you promote this book any differently than your other books? Seth: Every time I write a book, I try to take my own advice. With Permission Marketing, I set up a website, www.Permission.com, which cost $400. You give me your email address and I send you one-third of the book for free. That led to 200,000 people giving me permission, which changed everything for that book. In initiating the Ideavirus, I gave the whole book away for free because it was a book about giving stuff away for free. If you Google the words “idea virus,” it’s still there. It’s still free. Almost 3,000 people took me up on that offer. The book has been reviewed online probably more than any other book I can think of. The day the book went live and Amazon opened its doors, more than 110 people gave it a review. All of them had read it. None of them had any other incentive to review it. The end result of this is that it was the biggest launch of any book I’ve ever done and one of the most successful book launches of the year. 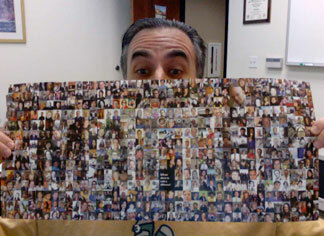 Mike: I’m looking at your book right now and on the back cover, there are a thousand little pictures. Tell me what that’s about. Note: That’s me holding the back cover up… See any subliminal messages? Flickr has a feature that gives you an email address where you can email pictures to yourself and they show up in your Flickr account. I published that email address. Everyone was sending me pictures that ended up in my Flickr account. I downloaded those pictures and put them into a mosaic. Here is a gallery of people—ordinary, everyday people like you and me—who matter. That’s the essence of the book. Mike: I thought that was really brilliant. In your book you talk about gifts. Can you explain what gifts are and how social media plays into the whole gifts concept? Seth: A gift is not a gift if you give something to someone hoping they will give you something back. That is sort of an unequal transaction. It is not a gift. A gift is what Pablo Picasso did when he painted a painting and you get to see it in a museum. He knew you’re never going to be able to buy one of his paintings. He wanted you to see the art. The point of the art is to change people. When you help somebody out who asks you a question on Facebook or Twitter because you hope one day they’re going to become a consulting client, you’re making a mistake. While that might be an interesting marketing strategy, it is not a gift. My argument is that linchpins make art. Art is a generous gift that changes other people. Mike: If I’m a marketer and my goal ultimately is to market a product or service, can I still give a gift even though my intention is to try to sell something? Seth: I don’t want to call that a “gift.” I want to call that an opportunity to put ideas in front of people so that you can up-sell them after they trust you. That’s fine, but let’s not get confused. There are plenty of people who read your site who are happy to respond to a pop-up window: “Welcome to my blog. Sign up for my free newsletter.” That newsletter is designed to have valuable content but also to up-sell people. That’s all good. But that’s not a gift. What I’m talking about is somebody who gives $100 to charity and doesn’t sign his or her name to the letter. There’s no opportunity for anything to come back to the giver, except for the fact that he or she now feels closer to the mission. Mike: At the end of your book, you mention Frank Eliason from Comcast as a great example of a linchpin. Why? Seth: Frank works at one of the most hated companies in America, a cable TV company called Comcast. On his own, without permission, he started searching Twitter for mentions of the word “Comcast.” If you mentioned Comcast in a tweet, he would get back to you, sometimes within five minutes. He would tell you who he was and ask you to call him directly, or he would try to troubleshoot you right then and there so that you could get back online or back to TV. It worked. It worked because it was so out of the box, so generous, so remarkable, so opposite of the way people felt about Comcast. As a result, Frank’s standing at Comcast goes way up and so does his career. That’s not why he did it. He did it because he clearly loves the company and he wants to help people. The side effect of his generosity is that he’s set for life now because he’s “the” Frank Eliason. The lesson from Frank is “do something that hasn’t been done before.” Do it out of sheer generosity. That’s the lesson. Seth: The Tipping Point by Malcolm Gladwell is a great book that I recommend. It’s about social movement. I don’t think there’s a tipping point for an individual to go from follower to leader, but I do think there are plenty of catalysts. The real catalyst, in my experience, is no-one goes from being a follower to being president of the United States. There are lots of kinds of leaders. You can be the president of the safety patrol in fourth grade and you’re doing a little bit of leadership. What really shifts is if you decide that you’re going to take tiny steps toward leading. Those can be leading in your family or leading in your community. I really believe that this is a path and not an event. The path starts with leading a few people, volunteering at your local animal shelter and then leading a corps of volunteers to make a change happen. Mike: Talk to me about your time working with Lester Wunderman. He’s the marketing guru behind the American Express Card and Columbia Record Club. What did he teach you about marketing? Seth: Lester invented the term “direct marketing.” What Lester understood is that it’s not particularly difficult to hire people to follow the manual. His firm, Wunderman Cato Johnson, grew to be a multibillion-dollar firm, with lots of people doing direct mail and direct marketing for lots of companies. You don’t need Lester to do that. What you need Lester to do is sit down and invent the gold box on the Columbia Record Club so they can go on TV, or invent the American Express Card as a charge card, not a credit card. These sorts of insights and innovations are what he does for a living. It only takes a minute to come up with one. The other eight hours a day are spent going to lunch and walking around and smiling at people. But in one minute a day, he’s creating billions of dollars worth of value. We get so hung up, particularly in a tweetified, Facebooked, blogged world where there’s always one more email to answer. We get focused on how busy we are or even how measured productive we are, as opposed to saying, “What did I do today that was important? What did I do today that no-one else can do?” If you spend a little bit more time on that work, you’ll discover that you have enough money to hire people to do the other stuff. Mike: So what Lester taught you is to focus a little more of your time on coming up with innovations? Seth: He helped me see that that’s my only job. Mike: To the aspiring future linchpin, what would be the best piece of advice that you would give him or her? Seth: Ship. Fight the lizard brain. Fight the resistance. Whatever it is you’re working on, ship it out the door. Ship often. Put things out there and fail. The more you fail, the more you learn. The person who learns the most wins. Mike: Seth, thank you very much for your time. You’re an incredible fountain of knowledge. Seth: It was my pleasure. Thanks for doing the great work on the site. 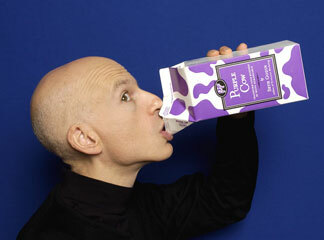 What do you think about Seth Godin and his marketing ability? Have you read his books? Did they leave a mark on you? Leave your comments below.